A new ‘blacklist’ published by Rights Alliance and the Association of Swedish Advertisers is designed to keep advertising off ten pirate sites, The Pirate Bay and Fmovies included. Unfortunately, at least three sites in the list carry suspect ads that are designed to deceive but are likely to survive the purge. 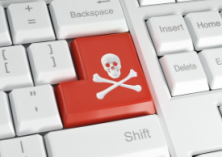 In many regions of the world, copyright holders, anti-piracy companies, and authorities are teaming up to tackle the problem of pirate sites. In the past, emphasis was placed on aggressive shutdowns but increasingly there is a tendency to “follow the money”, a strategy that aims to starve site operators of their income while making sites less lucrative to run. A big part of this is restricting the amount of quality advertisers prepared to have their ads appear on pirate sites. Indeed, there are significant programs in the United States and Europe dedicated to encouraging companies to stay away from pirate sites. Over in Sweden, one such initiative was announced in 2015 by Rights Alliance and the Association of Swedish Advertisers. The headline was that 600 advertisers had banned The Pirate Bay from their networks but there were actually an additional nine sites on the worst offenders list, most of which have now faded away. Now, less than four years later, the partnership has published a new and updated blacklist containing ten domains, which advertisers are encouraged to boycott, especially the gambling industry which is claimed to support pirate sites more than most. “Advertising finances the illegal services,” says Sara Lindbäck, lawyer at Rights Alliance. Given that only a handful of these domains looked immediately familiar to us (branding aside), we checked them out, one by one. The Pirate Bay needs no explanation, of course, but others warrant further explanation. FMovies.to is a very popular streaming site, with SimilarWeb reporting in excess of 40 million visitors per month. The site is not only significant locally in Sweden but also on an international scale. It’s certainly no surprise this site is featured prominently in the list. At the time of writing, DreamfilmHD.cc is currently non-operational but Lindbäck informs TF that the site might only be “down temporarily” and since it has had a lot of advertising placed on it for a long time, its place on the list is justified. However, SimilarWeb reports a worldwide site-rank in excess of a million, so its importance seems limited. Nyafilmer.com is a completely different ball game. The streaming platform is currently Sweden’s 74th most-popular site, period, so it’s absolutely clear why Rights Alliance and Swedish Advertisers have blacklisted the domain. Both Swefilmer.eu and Streamtajm.com, on the other hand, are much less significant, with the former barely moving the traffic needle and the latter bringing in around 750,000 visitors per month. Dreamfilm.fun isn’t listed by SimilarWeb but according to Alexa, it pulls in around 200k visitors per month. That brings us to the final three sites in the list, which we’ll bundle together since they have something in common on the advertising front. Nyafilmer.tv, Dreamfilm.pro, and Swesub.net are all streaming platforms. The former is very tiny, with a world site-rank in excess of four million, but the others appear to be growing and derive most of their traffic from Swedish visitors. However, all three use a particularly irritating form of advertising. As a test, we chose to search for the movie Aquaman on the sites, since it’s new and shouldn’t be available to stream legally, especially via a pirate site. After clicking the thumbnail, the user is greeted with an embedded video player at the top of the screen (the real movie is way underneath) that begins to play the familiar Universal intro reel, which is a red flag since the movie is actually a Warner/DC affair. The link takes users to GamesHeaven.net (we’re not going to link) which claims that the movie is available there for ‘free‘, if only people sign up. 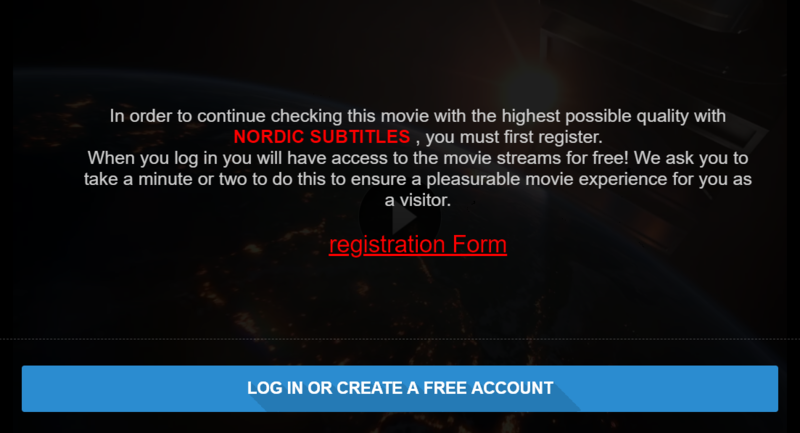 However, this site does not have this movie at all (or most others that users sign up to receive for that matter) and actually requires people to enter credit card details, which, as this thread and others show, often goes nowhere good. This platform, and others that are based on the same underlying system, have been the subject of large numbers of complaints. This type of advertising is extremely misleading so pirate (and other) sites should consider not directing their customers to such platforms in this manner when they clearly don’t have the content being claimed. If people want to pay for movies, they should go to platforms like Netflix, that are simplicity itself to use and indeed cancel, when required. Unfortunately, however, not even Sweden’s advertising ban is likely to prevent these ads from appearing on lower-tier pirate sites since we’re informed they’re based overseas and quite lucrative. Also, since the underlying services do indeed have other (albeit less popular) licensed content available, they’ve been running along trouble free for years.